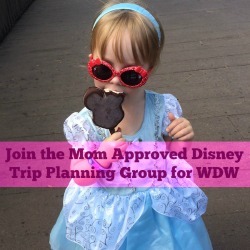 I wanted to start a new series Magical Meet Mondays-each Monday I will introduce you to one of my favorite characters to meet on your next trip to Disney and give you some tips and where to meet them! 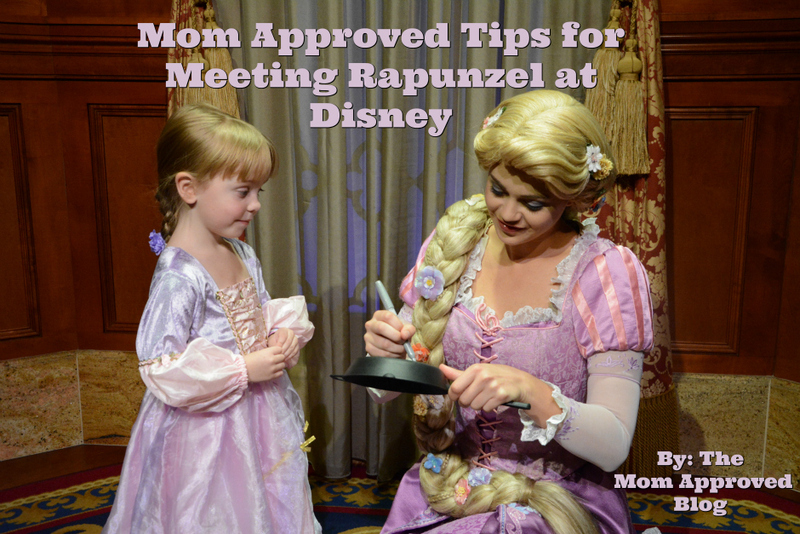 Let’s start our first with where to meet Rapunzel at Disney! 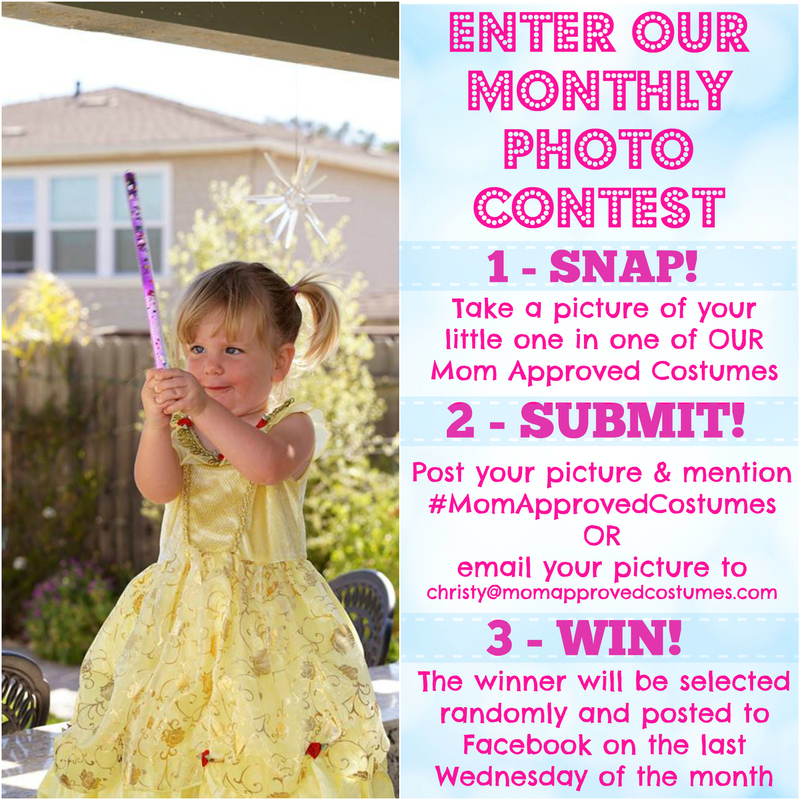 Does your little one want to have the Best.Day.Ever. with Rapunzel?! 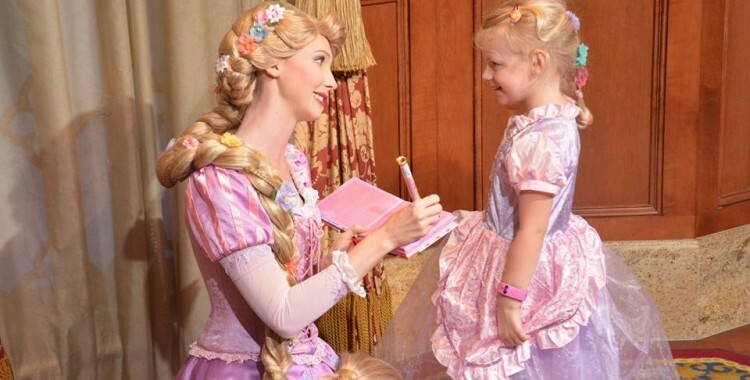 Currently, the only reliable place to meet Rapunzel at Disney World is at Princess Fairytale Hall in Magic Kingdom with Cinderella (Don’t worry – a FastPass is available)! Occasionally, she will appear at Epcot in Imagination Plaza-but we’ve ever seen her there on our trips. 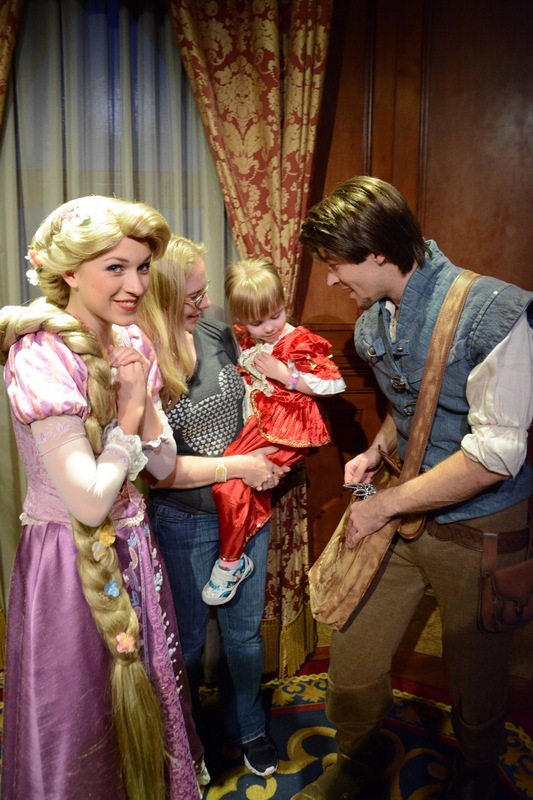 For a special treat, during Mickey’s Very Merry Christmas Party in November and December can you meet both Flynn and Rapunzel at Princess Fairytale Hall! 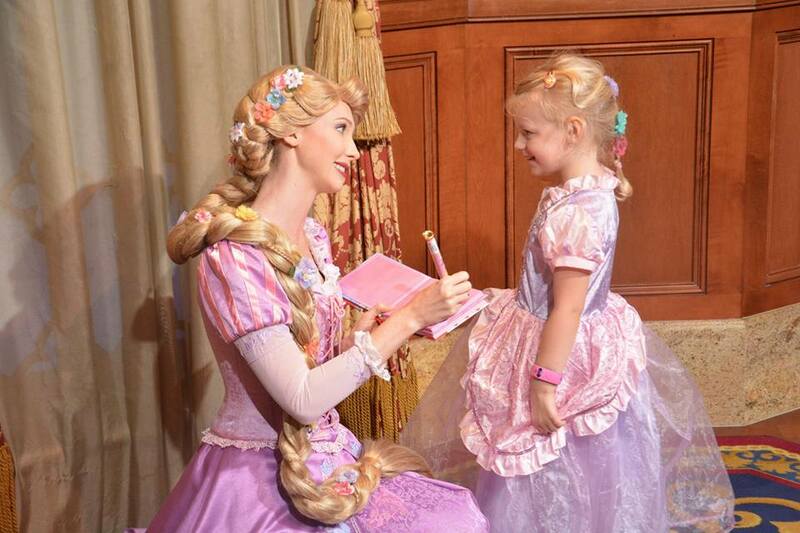 Rapunzel loves to sign autographs- you can use autograph books, character encyclopedias, photo mats or even a black plastic frying pan! She gives GREAT hugs, and is really good at making sure tween boys who try to avoid her are noticed! 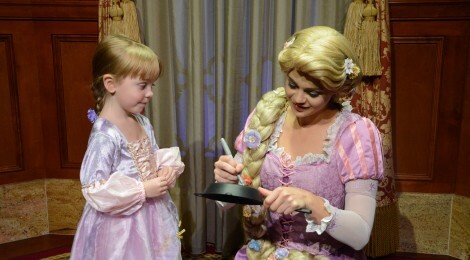 When you meet Rapunzel at Disney, you can do more than just say hello, get a picture and an autograph! For a fun interactive meet, your kiddo can ask Rapunzel about Pascal- what he eats, how he’s doing, where does he sleep in the castle etc. They can ask her what painting she is working on, or how much shampoo she uses each week. Have some fun with it! A fun pre-trip activity is to have the kids write out some questions they would like to ask her on a Rapunzel themed coloring page (it makes for great writing and creative thinking practice too)! 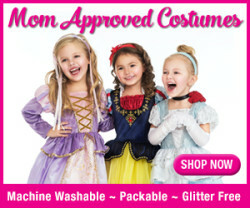 Rapunzel loves little girls in costume. My little one has danced with her nearly every visit! 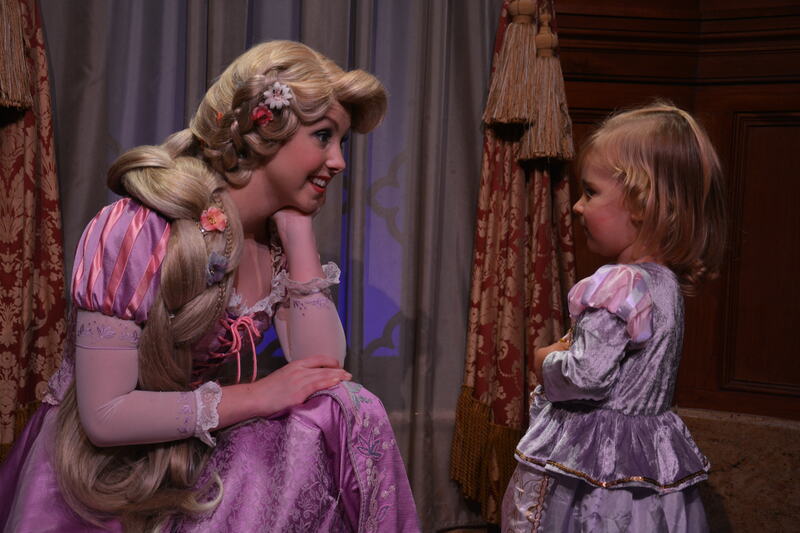 Rapunzel is very good at getting shy kiddos to come out of their shell, so don’t push your kiddo. 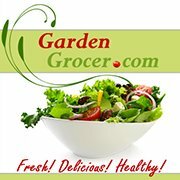 Let her do what she does best! Mom Approved Tip: It is also completely acceptable to shove your children out of the way when they are done to take a picture with her all by yourself. Your children can wave at her during the Festival of Fantasy Parade on Main Street in Magic Kingdom as well. 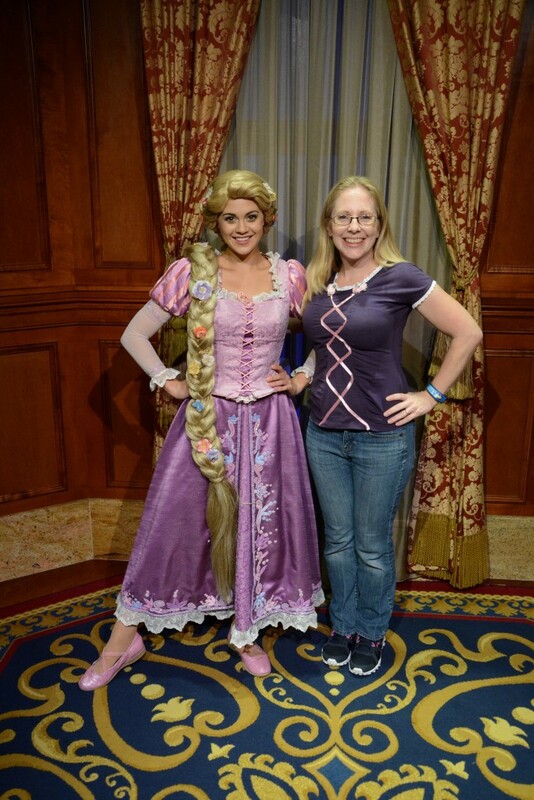 For you Disneyland people, a very similar Rapunzel character meet can be found at Fantasy Faire. At Disneyland, Rapunzel also can be seen in the Royal Theater in the new Tangled show, on a beautiful float in the Paint the Night Parade, Mickey’s Soundsational Parade and during Mickey and the Magical Map! ← Because Bill doesn’t know everything!